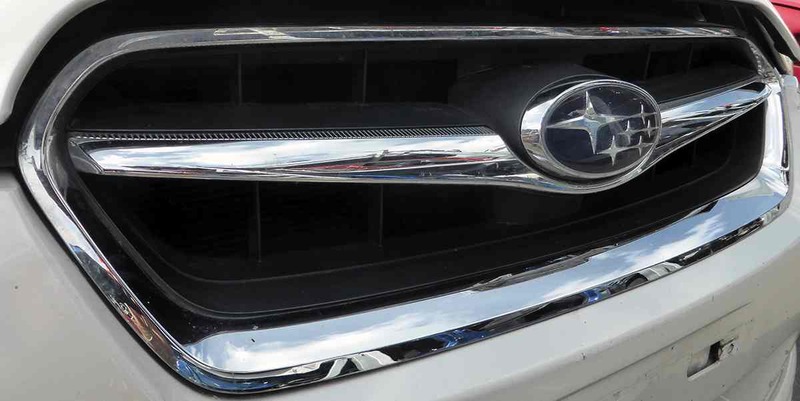 Looking for Subaru Legacy parts? we can help you! 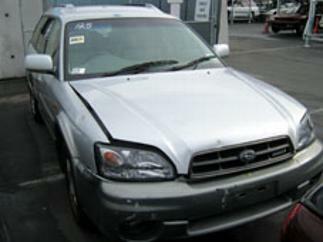 Strong for Subaru in Auckland, New Zealand, dismantles and stocks parts for all types of Subaru Legacy cars. The Subaru Legacy parts are for both wagon and sedan variants, from 1994 through to the current model. Strong for Subaru can supply used and some new Subaru Legacy parts for Subaru Grandwagon, Subaru Outback, Subaru Legacy and Subaru Liberty models as well as Subaru B4, GT and GTB turbo versions. Subaru Legacy performance parts are also often available. 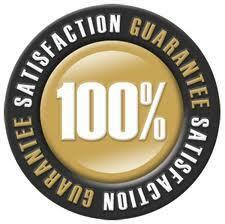 Most of our parts are used parts that have been tested (where possible) and covered by a warranty. We do also stock a range of new Subaru Legacy spare parts. So whether you’re after new or recycled Subaru legacy parts or spares, we can help you! Subaru Legacy parts supplied by Strong for Subaru are tested wherever possible and all of our used Subaru parts are sold with a warranty to suit your requirements. If you ever have a problem or would like to ask us a question about any Legacy part you buy from us please phone us free 0800 634 0065 we will be very happy to help you with any Subaru Legacy issue you have…. we’re here to help! All our Legacy parts are guaranteed! Strong for Subaru quite often have in stock used aftermarket Subaru Legacy parts such as exhaust systems, suspension kits and all sorts of other Subaru accessory items that you can think of to make your Subaru Legacy a bit different from the rest. Everyday Subaru Legacy parts are not a problem, we have everything from seatbelts and door locks right through to Subaru Legacy engines, gearboxes, suspension, interior parts, panels, tested Subaru Legacy radiators and Legacy wagon or sedan windscreens to fit just about every type of Legacy ever sold in New Zealand. If you need a part for your Subaru Legacy please contact us today and we will do our best to supply you with a quality used or new Legacy part at a great price. 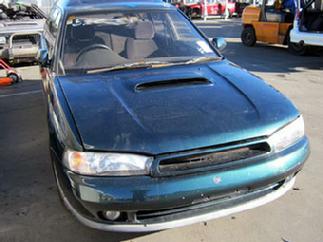 We are constantly wrecking 1994 to 1997 BG and BD Subaru Legacy sedan and Legacy wagon cars for parts as well as Subaru Grand Wagon and the 250T variants. At Strong for Subaru we have in stock EJ20R and EJ20H tested boxer turbo engines to suit this range of Legacys, we can supply most Subaru Legacy mechanical parts such as fuel pumps, ignition switches, Subaru Legacy radiators as well as panel parts such as doors, guards, bonnets along with mag wheels and used suspension struts and arms. We always have a good range of Subaru accessory items to fit most types of Subaru Legacy wagons and cars so if you are after any part for a Subaru Legacy please contact us. Phone friendly team today! Free phone 0800 634 0065 or call in to our Auckland showroom during business hours! We have a good selection of 1998 to 2003 Subaru Legacy cars in stock at the moment, we have the Subaru B4 sedan, BH wagon, as well as Subaru Blitzen sedans and wagons in our yard, we also have in stock cars and parts for the Subaru Lancaster and Subaru Grand Wagon versions. At Strong for Subaru we always stock EJ206 and EJ208 boxer turbo engines to suit the legacy range of cars, we can supply most Subaru mechanical parts as well as panel parts such as doors, guards, bonnets along with mag wheels to make your Subaru look better. We usually have a good range of Subaru accessory items such as used big bore exhaust systems to fit most Legacy vehicles and we have a good supply of strut braces etc. You our friendly team today! Free phone 0800 634-0065 or you can call in to our Auckland showroom during business hours! 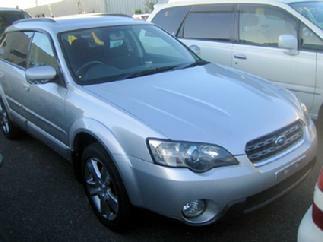 We are always wrecking and importing parts from Japan for 2003 to 2007 BL and BP model Subaru Legacy and Subaru Outback. We carry most parts for this model Subaru Legacy and try to make sure that we can supply all parts that are common to this model. We have a good selection of clean panel parts such as Legacy doors, bonnets, Legacy front and rear cuts as well as head lamps and tail lamps. We also stock turbo and non turbo Subaru boxer engines including the EZ30 6 cylinder version as well as gearboxes and automatic transmissions to suit most of our Subaru Legacy and Subaru Outback engines, all of our Subaru Legacy engines and gearboxes are sold with a warranty. Phone our friendly team today! Free phone 0800 634 0065 or call into our Auckland showroom during business hours! Looking for a different Subaru Legacy part? If we haven’t listed or mentioned the Subaru Legacy part or model you’re looking for, we can help source the part. We have a weekly video conference with our japanese parts suppliers about hard-to-find parts. They’re quick to respond to our special orders, so if a customer has a one-off Subaru order we can usually have an answer within the week.